Gor Mahia dropped their first points of the 2018 season when they drew 0-0 with Tusker at Machakos. Champions Gor Mahia dropped points for the first time this season after battling to a barren draw with Tusker in an exciting Kenyan Premier League match at Kenyatta Stadium, Machakos. After watching his charges fire blanks for the first time this term, Gor Mahia coach Dylan Kerr will have more to worry about after Ivorian striker Ephrem Guikan was stretched off injury in the second half injury time. Guikan collided with Tusker goalkeeper Duncan Ochieng as he attacked a ball from a free-kick. Both teams had chances to win the match with Guikan culpable of what might turn out to be the “miss of the season” after hitting the woodwork from inside the six-yard area in the second half with the goal mouth gaping to the shock of the handful fans who bothered to show up for the rescheduled tie. 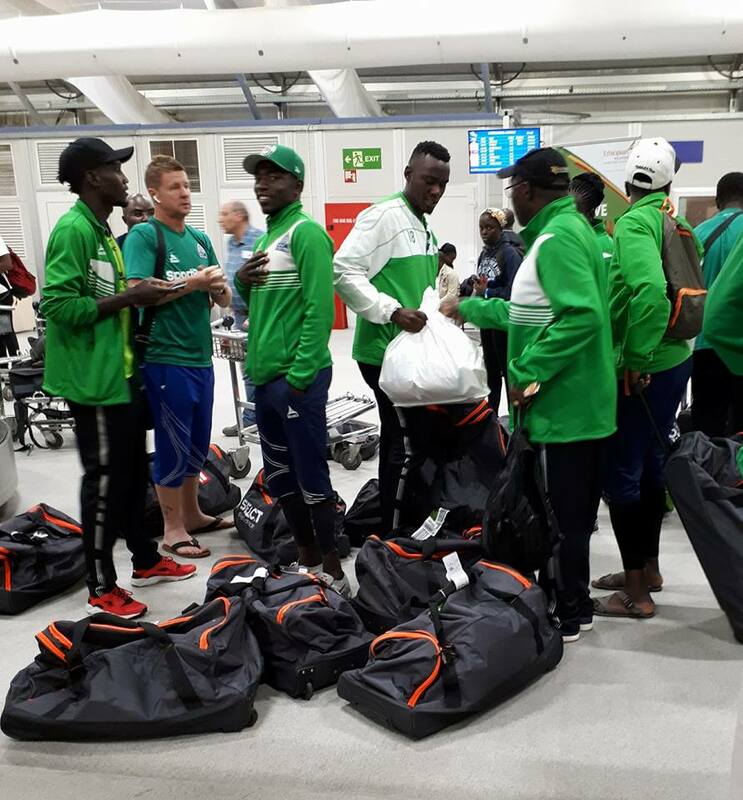 “We have to blame ourselves for the missed chances, this is something we practice every day in training but its African mentality of not taking things serious,” lamented an angry Kerr. His opposite number Sam Timbe said his side had a better chance to win the game but were undone by missed chances. “We had opportunities in the first half to kill off the game. Last game, we converted two out of six clear chances we had but today we couldn’t,” said Timbe. “All games are tough, we just need to keep working hard,” he said. Kerr made eight changes to the team that beat Kariobangi Sharks 2-1 at the same venue on Sunday while Timbe retained the squad that recorded a similar result against Nzoia Sugar on Saturday. Kerr handed attacker Eliud Luokwam a rare start ahead of veteran forward Meddie Kagere while former Tusker duo Humphrey Mieno and Cersidy Okeyo partnered in midfield. Luokwam was also culpable of wasting a glorious scoring opportunity in the opening half after he failed to beat Ochieng from inside the six-yard box even after leaving Collins Shivachi for dead with a lovely turn. Tusker too had their fair share of missed chances with Amos Asembeka combining well with former Gor attacker Timothy Otieno, but the former Sony sugar man fired wide with only Boniface Oluoch to beat. Second half substitute Jackson Macharia, on for Asembeka, had a late header cleared off the line by Charles Momanyi as both teams went for the opener. The early exchanges were open, where Gor utilised wide areas to create pockets of space, with George ‘Blackberry’ Odhiambo posing their main threat up front. Momanyi’s header from a Lawrence Juma corner in the 14th minute flew inches wide. Timothy Otieno’s glancing header at the stroke of halftime was off target. After the restart, Guikan twice missed to score what could have been his second goal of the season. But it’s his miss on 73 minutes that left the whole stadium in shock. Kagere beat his marker to set up the Ivorian whose first shot was blocked by Ochieng’ before his rebound ricocheted off the crossbar. Despite the draw, Gor moved to the summit of the standings with 10 points, same as Mathare United but with a superior goal difference. It was the first time Gor have dropped points or failed to score in a league match this season. Gor Mahia have yet to drop a point in the 2018 Kenya Premier League. They have won three matches in three games. 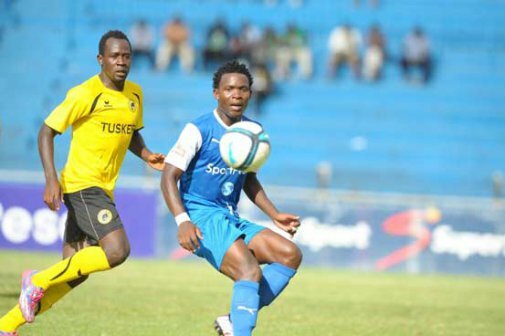 On Wednesday, they will face their sternest test when they take on Tusker at Machakos. They will be playing against former player Timothy Otieno, a player who did not get much playing time under Dylan Kerr. It is for this reason that Kerr believes the former Kakamega high stalwart will be playing with a chip on his shoulder. “Timothy poses danger to us and I am sure he will want to get one over me. We have to have a strategy to stop him but above all we must keep the momentum knowing Esperance lie ahead of us in the CAF Champions League,” he said to the Standard. Kerr is not satisfied with his team’s scoring record. It is an issue that could cost Kogalo dearly against Esperance. “We have to score many goals. We create chances but we have to have that cutting edge,” continued Kerr. His options might be limited if Tuyisenge has yet to return to full fitness and he has to balance between winning league matches and resting players for the Esperance encounter. “It is a tough balancing act in rotating players knowing you have many engagements coming up,” said Kerr. Tusker will be buoyed after winning their first match of the 2018 season. Gor Mahia will be hoping for a similar result to the one that pertained the last time these two sides met. This was on September 23 2017. Kogalo beat Tusker 2-0 at a rain soaked Kericho Green stadium. The goals came via George Odhiambo and Meddie Kagere. Indeed Blackberry has played some memorable matches against Tusker. In 2010, he scored one of the best individual goals seen in Kenya in the last decade when he weaved past the entire Tusker defence and planted the ball on the roof of the net. On this day in 2010, Blackberry left the entire Tusker defence for dead and scored a memorable goal. On the Gor Mahia side, Humphrey Mieno and Cercidy Okeyo could prove useful playing against their former club. In goal, Kerr will likely prefer Boniface Oluoch to give the custodian a chance to regain his confidence. Gor Mahia are currently in second place with a game in hand. A win over Tusker will see them claim the top position in the 2018 Kenya Premier League. 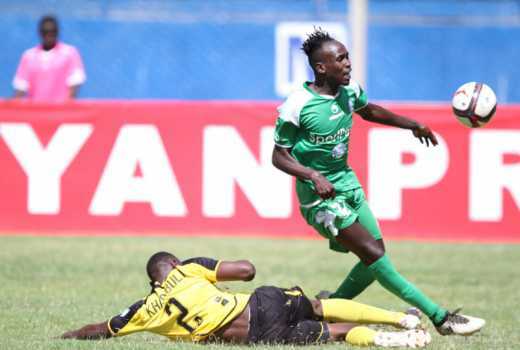 Gor Mahia’s first choice custodian, Boniface Oluoch has been under fire from fans after his howler cost Gor Mahia a goal against Kariobangi Sharks on Sunday. He mistimed what seemed like a feeble attempt from a free-kick and allowed the ball to slip through. Some fans have accused Oluoch of being too non-chalant. This goal however was not caused by non-chalance. He simply mistimed the ball and did not expect it to bounce in front of him. 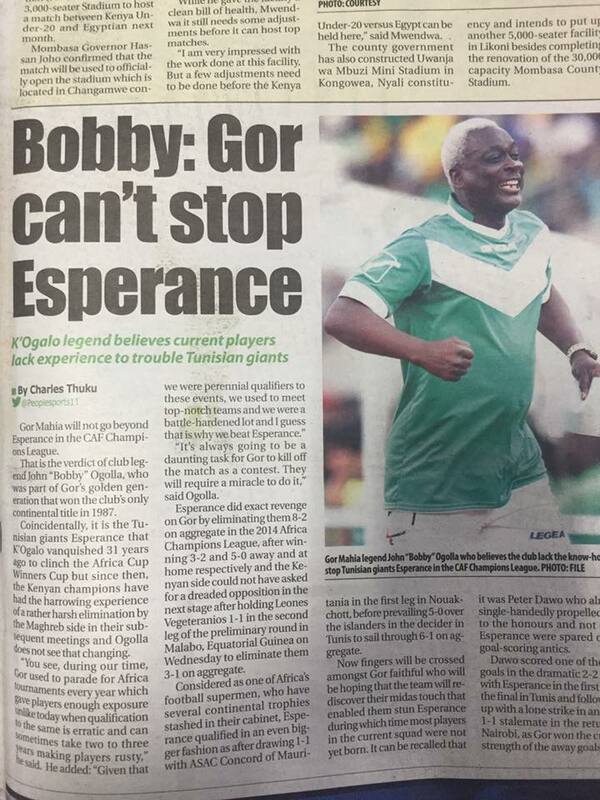 Some fans are concerned because as the match against Esperance approaches, they remember that Gor Mahia conceded three goals to Esperance at Nyayo stadium in 2014. And all three goals were due to defensive and goakeeping errors. However coach Kerr has defended his goalkeeper. Ben “Breakdance” Oloo, one of the most gifted players ever to don the Gor Mahia jersey has passed on. He was found dead at his home in Kaa Chonjo Mombasa on Monday February 26 2018. 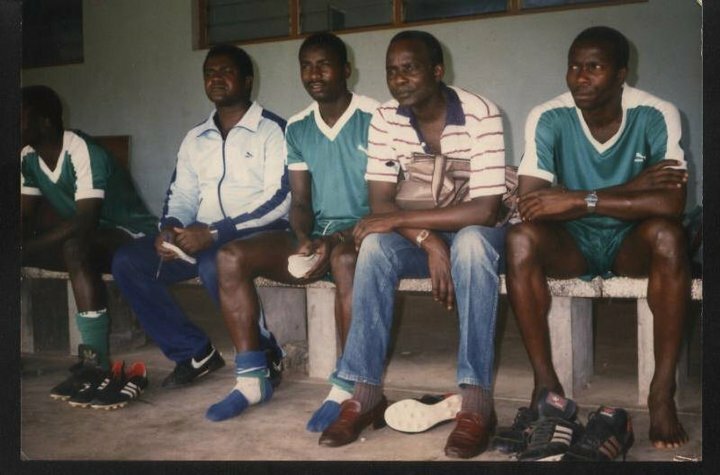 Breakdance joined Kogalo at the start of the 1985 and stayed on until around 1990 whereupon he hang his boots. He was nicknamed breakdance because his mazy dribbling skills often left defenders dancing. And when he joined Kogalo in 1985, “Breakdance” was the prevailing dance crazy that engulfed the country. There was even a blockbuster movie based on the dance. He was born in 1961 in Karungu location in what is now Migori county. He spent his formative days in Kisumu City where he attended Central Primary School and Kisumu Boys High School where he excelled at hockey. He then transferred to St Mary’s High School, Yala where he played basketball. After excelling an inter-dormitory football competition, he was convinced to focus on football by former Luo Union FC legend Eric Omonge “Jaboma” . Upon finishing school, he joined Kisumu Black Stars in 1979. He stayed on until 1980 before joining Utalii College then Lake Warriors in Mombasa. Cargo FC, (now Bandari) raided Lake Warriors, recruiting most of their top players including Oloo as well as George Onyango “Fundi” and others like Albert Oyoo “Wazimu”. It was while playing for Cargo FC that Breakdance was sported by Gor Mahia talent scouts who approached him, perhaps at the behest of his former team-mate George Onyango “Fundi” who has also joined Kogalo from Cargo the previous year. Upon joining Gor Mahia, Oloo made an instant impact. He quickly became a fan favourite due to his superb dribbling skills on the left wing which often left defenders dazzled. He was also a fine crosser of the ball. His first assignment was the 1985 CECAFA cup. He was one of the new signings called up to shore up a Gor Mahia side that was badly depleted due to the suspension of six players. He played a pivotal role, playing all the matches as Gor Mahia went on to win that tournament. “Breakdance” was often deployed as a substitute. Indeed his most memorable match was the Mashemeji derby at the end of the 1987 season. With the game seemingly destined for a scoreless draw, coach Jack Johnson introduced “Breakdance” as a second half sub. It was a stroke of genius. First Breakdance lit up the crowd as he confused and mesmerized the Ingwe defence with his mazy dribbles. Then towards the end of the game, he dribbled past Wycliff Anyangu, and sent a well weighted cross which Peter Dawo met with a header to score the winning goal. Gor Mahia won 1-0, eliciting crazy celebrations as fans danced and sung from Nyayo stadium to the City centre as was the tradition back then. Throughout his entire career, Breakdance was an employee of Kenya Ports Authority in Mombasa and would diligently travel to Nairobi along with George Onyango “Fundi” to attend training sessions. He was one of the few KPA employees who did not play for Bandari FC. Once he hung up his boots, Breakdance stayed in Mombasa where he continued to work at KPA. He was also a long serving official of Bandari FC where he served in various capacities including club secretary, team Manager and Chairman. An apparent suicide is blamed for his demise. Chairman Ambrose Rachier remembered breakdance for the role he played a player and as a former player. “As chairman of Gor Mahia, I want to pass my very sincere condolences to the family of the late Ben Oloo. He was a very good player, very versatile from the wings. His intricate leg movement made him a darling to our fans hence the nickname ‘Breakdance’. He was our legend. “He was also useful to us in terms of identifying talent. We will sorely miss him, and as a club, we will take part in the funeral plans,” mourned Rachier. Gor Mahia continued with their good start to the 2018 Kenya Premier League when they beat Kariobangi Sharks 2-1 on Sunday. Reigning KPL champions Gor Mahia have skipped into the second place with a game in hand after their 2-1 win against Kariobangi Sharks in a thrilling match played on Sunday 25th February at the Kenyatta Stadium Machakos. The match started on a high with Gor Mahia taking charge of the steering wheel from the onset but Samuel Onyango’s well timed cross to Meddie Kagere flew over the woodwork in the fifth minute. It was not long before the former Ulinzi Stars hitman took the responsibility and slotted home in the 10th minute after collecting an Ondieki cross from the midfield, dribbling through defence and unleashing a cracker that Oyemba couldn’t handle. Sharks attempted a quick comeback on the opposite end but a pinpoint cross from Patilla Omoto cross found Eric Kapaito offside and was subsequently flagged down as he angled himself for a shot. Sharks managed to stabilize the game despite trailing and maintained attacks Patilla showing a strong attacking spirit. He was brought down at the edge of the area by Walusimbi and Bolton Omwenga did not miss the mark from the freekick; the ball slipping between Boniface Oluoch’s feet for the equalizer. Gor Mahia should have stretched the lead in the 26th minute after Guakan collected a pass inside the area but his left footer was not powerful enough to beat Sharks keeper. Samuel Onyango was at it five minutes later with a cracker from the right but Oyiemba produced a brilliant reflex to punch the ball aways. Shiveka was having a tough time in degence handling Onyango whose speed and crosses proved dangerous all the time. Kegere would then race through the wing from a Shakava cross to float in a cross which Guikan crashed against the post from a well executed header. Sharks attempted to come back but their floated balls lacked an answer upfront with the team having retreated to defence. They however bounced back towards the end of the first half; Ebrimah Saneh floating in a cross which Duke Abuya tapped inches wide to the far corner. Patillah Omoto came closest in the 45th minute crashing his long range thunderbolt against the woodwork after Wellington Ochieng’ had lost the ball in the midfield. Sharks started the second half on a more stable note but slowed the game at first with coach Muluya bring on board experienced Mazembe who had been relegated to the bench for Fidel Origa. Gor Mahia did not however take it lying down and responded through Guikan who floated in a cross that Oyemba punched away despite being off his line. K’ogallo then did a double substitution bringing in speedy Kahata and former Sharks player Kevin Omondi to stabilize the midfield further. Sharks also did a double bringing in Lokale and Manoa for Sanneh who had faded and Abuya. Gor Mahia however showed experience when Meddie Kagere beat the defence on the right dribbling perfectly to set up Guikan who finally easily tapped in for the goal he had so much looked for. Bolton Omwenga was commendable on the freekicks this time coming close for Sharks in the 80th minute but Kapaito headed straight to Oluoch though he almost let the ball off his hands. Substitute Mazembe shoud have done better on the left for Sharks after twisting and turning but he released a weak shot. Lokale then missed narrowly with Oluoch’s experience coming to play to beat the striker to the ball from a Kapaito cross on the left. Harun Shakava’s final minute efforts went begging from a freekick at the edge of the box but Gor Mahia enjoyed the bragging rights moving to second on the standings. 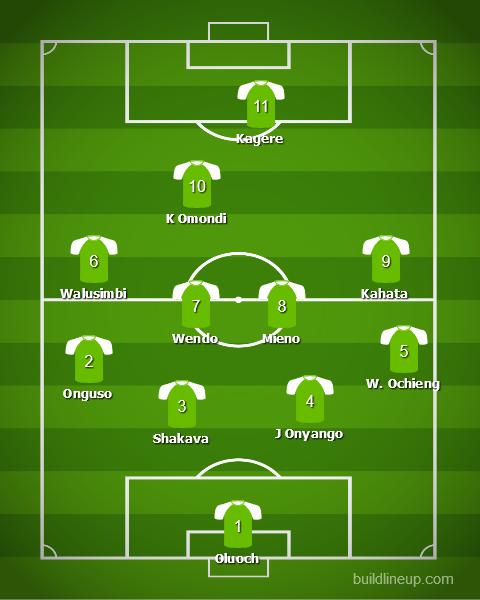 Gor Mahia Starting XI: Boniface oluoch, Godfrey Walusimbi, Wellingtone Ochieng, Harun Shakava, Joash Onyango, Philemon Otieno, Boniface Omondi [Kevin Omondi], Bernard Ondiek [Ernest Wendo], Meddie Kagere, Ephraim Guikan, Samwel Onyango [Francis Kahata]. Gor Mahia held Zambia’s most popular club Nkana FC, formerly known as Nkana Red Devils in a friendly match at Camp Toyoyo on Saturday. In an encounter K’Ogalo coach Dylan Kerr explained was aimed at fine tuning his charges ahead of their next continental assignment, the hosts grabbed the lead against the visiting top Zambian club at the half hour mark through the returning Jacques Tuyisenge. The 12-time Zambian champions were initially penalised after Diego Apanane handled the ball in his box and Tuyisenge stepped up to drill the resultant penalty kick past a clueless Kelvin Malunga for the opening goal of the match. This setback seemed to rattle a potent Nkana attack consisting Congolese sensation Idriss Ilunga Mbombo, who is a former strike partner to Kenya international Jesse Were at Zesco United, 2016 FAZ league topscorer Walter Bwalya, Zambia International Ronald ‘Sate Sate’ Kampamba and Festus Mbewe. And their reaction was impressive. First, Mbombo easily went past his marker on the left hand side of the pitch and sent in a low cross that Bwalya connected with a goal bound shot on 55 minutes. Gor keeper Shaban Odhoji was however equal to the task. Odhoji could do little to stop Mbewe’s shot that found the inside roof of the next five minutes later, after the Zambian striker benefitted from Bwalya’s 20-yard pass. “They have some confident players with good touches. They got tired in the second half and we capitalised,” said Nkana coach Beston Chameshi. “It was a good workout for the players who didn’t play in the Champions League and I am impressed with their reaction,” added Kerr. The Kenyan champions are in line to play Tunisia’s Esperance in a Caf Africa Champions League first round match on March 7, while Nkana will square it out with Algeria’s CR Belouizdad in the first round of the Confederation Cup. According to football agent George Bwana who is coordinating Nkana’s five day Kenyan pre-season camp, Nkana are primed to play either Nakumatt or Tusker in their final friendly on Monday. Gor Mahia are set to play Zambian giants Nkana FC on Saturday . The match will kickoff at 8 am and will be played at Camp Toyoyo. Coach Dylan Kerr has named a 14 player squad, resting most of the players who played against Leones Vegeterianos this past week. Nkana finished third in the Zambian league in 2017, only three points behind the winners, Zesco United. They are preparing to play in the Conferederations cup. They also recently toured Zimbabwe where they drew 0-0 with Zim champions FC Platinum. The last time Kogalo played a Zambian side was in 2015 when they lost 0-3 to Power Dynamos. Gor Mahia vs Nkana Red Devil Zambia at Toyoyo (on Saturday) from 7.30am. Line-up. 1. Peter Odhiambo 2. Shabaan Odhoji 3. Innocent Wafula 4. Joachim Oluoch 5. Charles Momanyi 6. Cercidy Okeyo 7. Juma Lawrence 8. Bonface Omondi 9. Eliud Lukowam 10. Wesley Onguso 11. Steve Okiro 12. Raphael Asudi 13. Benard Ondiek 14. Jaqcue Tuyisenge. “Given that we were perennial qualifiers to these events, we used to meet top-notch teams and we were a battle-hardened lot and I guess that is why we beat Esperance. Gor Mahia skipper Harun Shakava, who scored against Esperance when the two sides met in 2014, is sure that this time, Kogalo will put up a better performance. “We’ve played them before but both teams have effected changes in their roster. We know how difficult it will be but we are going to prepare in order to achieve our target of reaching the group stages,” the towering defender told Nation Sport on Thursday. In 2014, Shakava scored Kogalo’s second goal when he headed in a corner kick. The first goal came from a penalty after Kevin Omondi made a diagonal run into the Esperance danger area and was fouled. Dan Sserunkuma converted the spot kick. Unfortnately, a series of errors caused Gor Mahia to concede three goals. Aside from Omondi and Shakava, the other current players who featured against Esperance are Walusimbi and “Blackberry” Odhiambo. However this Gor Mahia side is far more experienced and better technically. Also this group of players has more cohesion, having played together for a longer time. As bad luck would have it, Gor Mahia are once againt hosting the first leg which will be played on the week of March 6th, with the return leg happening two weeks later. Gor Mahia drew 1-1 away to Leones Vegeterianos of Equatorial Guinea thus finishing with a 3-1 aggregate score. The match was the second leg of the preliminary round of the 2018 Africa champions league. The Equatoguineans took the lead in the 55th minute and pressed for another goal to force penalties. Gor Mahia fought back and scored when a Leones defender deflected a Francis Kahata corner into his own net. Gor Mahia scored again in injury time but the goal was disallowed. The result allows them to move into the first round where they will face Esperance de Tunis. It promises to be a stern test. Esperance eliminated ASAC Concorde of Mauritania 6-1 on aggreegate. So they appear to be in the same kind of form they were in 2014 when they last met Kogalo.